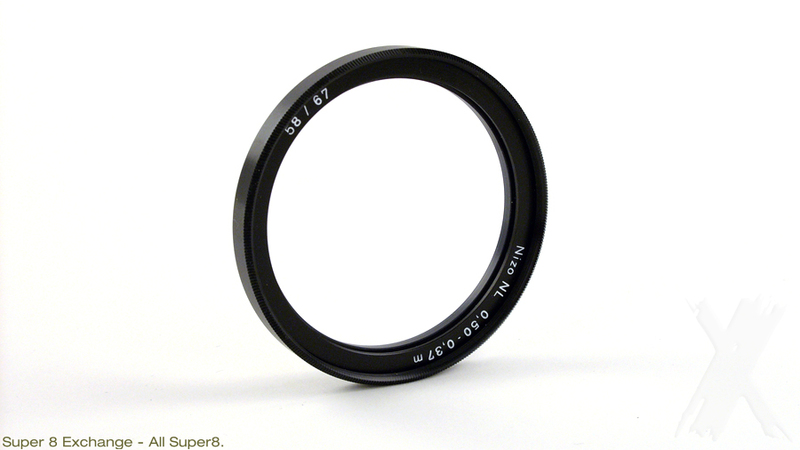 Special supplementary close-up lens for the Braun Nizo movie cameras with lens diameter of 58 and 67 mm. Will fit other makes like Canon 1014 Auto Zoom electronic or 814 Auto Zoom (electronic) movie cameras. Screw-in mount type, 58 mm & 67 mm thread.